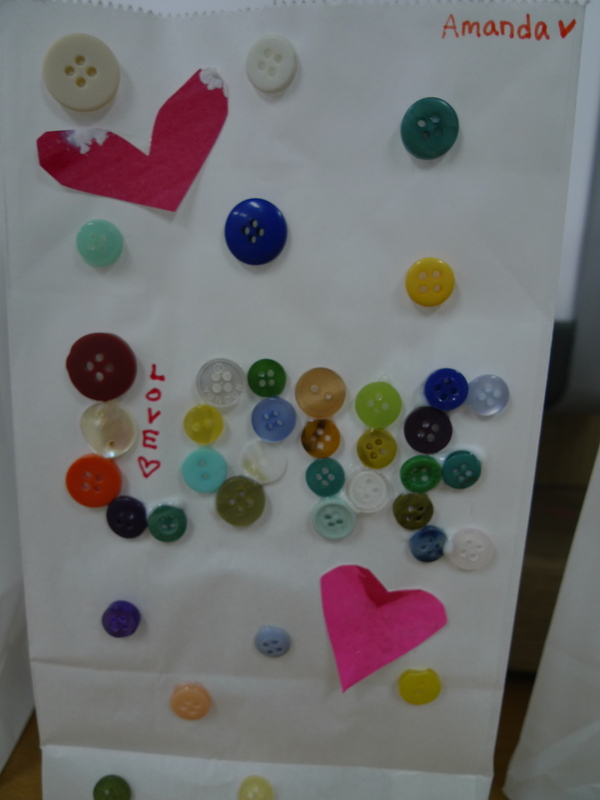 For Valentine’s Day this year, I had them decorate paper bags with painted paper and buttons. 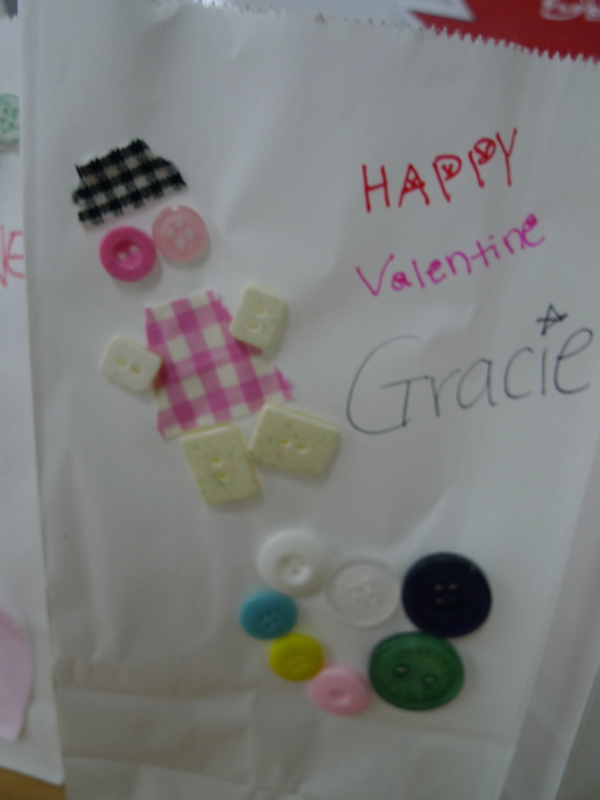 My kids LOVED decorating with buttons. 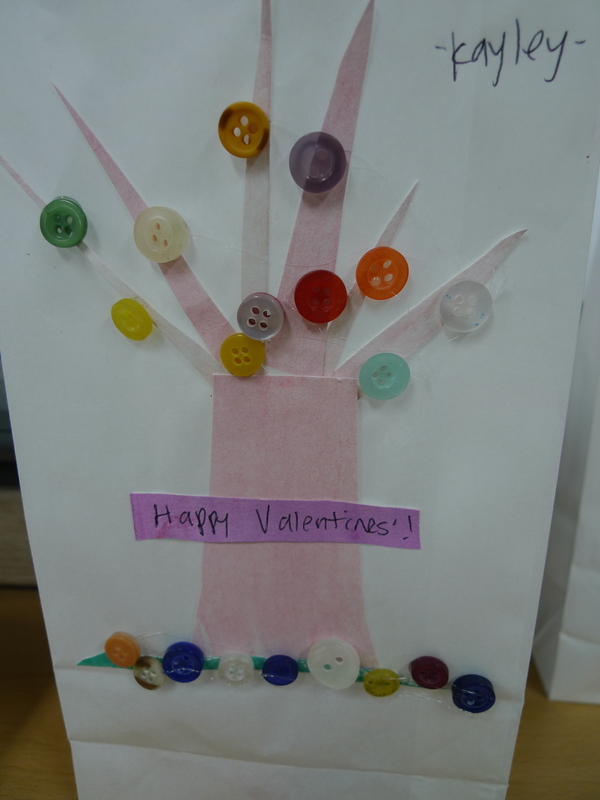 They will put valentines they get from classmates in the baggies. I am always so impressed by my fifth graders’ creativity!!! Take a look at some of their bags. 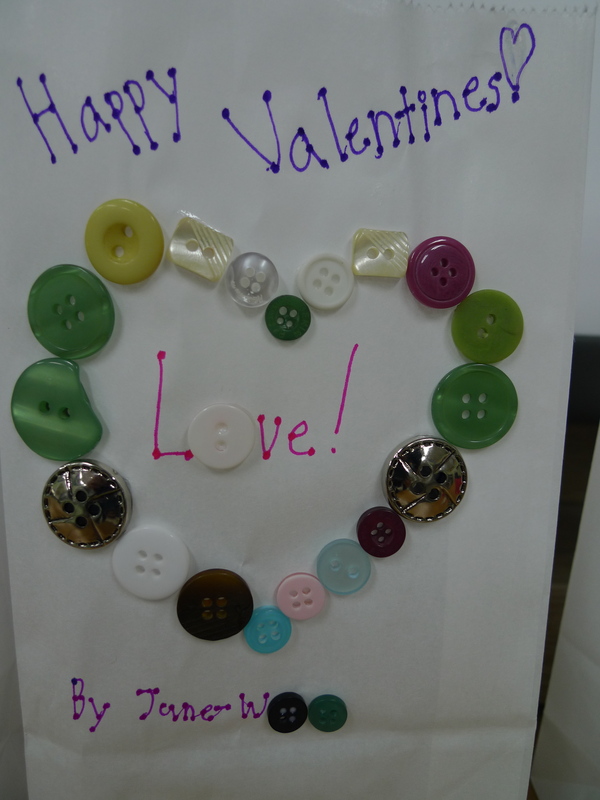 Upcoming posts: More valentine’s day ideas! awesome! i love the buttons, where do you get them? I bought them @ Michael’s craft store in the states…it’s hard to find big packages of them here!